Family reunions are a summer tradition -- time to catch up on the past year's events, see how the children have grown, share memories, laugh, eat, and play. For the eleven families who make up Wide Horizons For Children China 46, our annual adoption reunion offers those same opportunities. 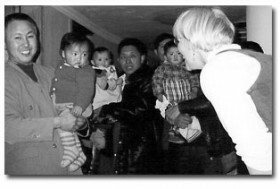 We traveled to China in December, 1997, meeting as strangers on a life-changing adventure. Ours was a diverse group and we didn't always agree. In fact, at our most recent gathering, one father admitted, "By the time we left China, I wasn't sure I ever wanted to see any of you again. All I wanted to do was get home!" But a surprising and powerful bond was created among us on a dark winter night when we met our children for the first time in the Nanchang Lake View Hotel and again when we reunited with one family from our party at The White Swan Hotel. In those days of travel and bureaucracy, we watched each other struggle, learn, and enjoy the processes of becoming family. Our successes were celebrated and our difficulties shared. We watched in amazement as our son and daughters made progress and their personalities became evident. It was our shared affection for these eleven children that made us want to keep connected. The reunion idea was born. Since then we have met yearly, and the reunions have become a priority for summer planning and travel. In some ways, the early gatherings were more for the parents than the children. As our babies grew through toddler and preschool years, we had each other to share the problems, concerns, and joys of each stage. It has given us time to reminisce about experiences that are sometimes difficult to explain to others, and opportunity to share the issues that are unique to adoptive parents. We have become well acquainted with each other and abiding friendships have developed. In similar ways, the significance of the reunions has evolved for the children. Faces that were once were known only in photo albums and holiday cards now have names, personalities, and lots of memories to go with them. Every year their play becomes more social and interactive, and friendships have blossomed. Their conversations currently revolve around super heroes, sports, lost teeth, and other events important to six and seven year olds. 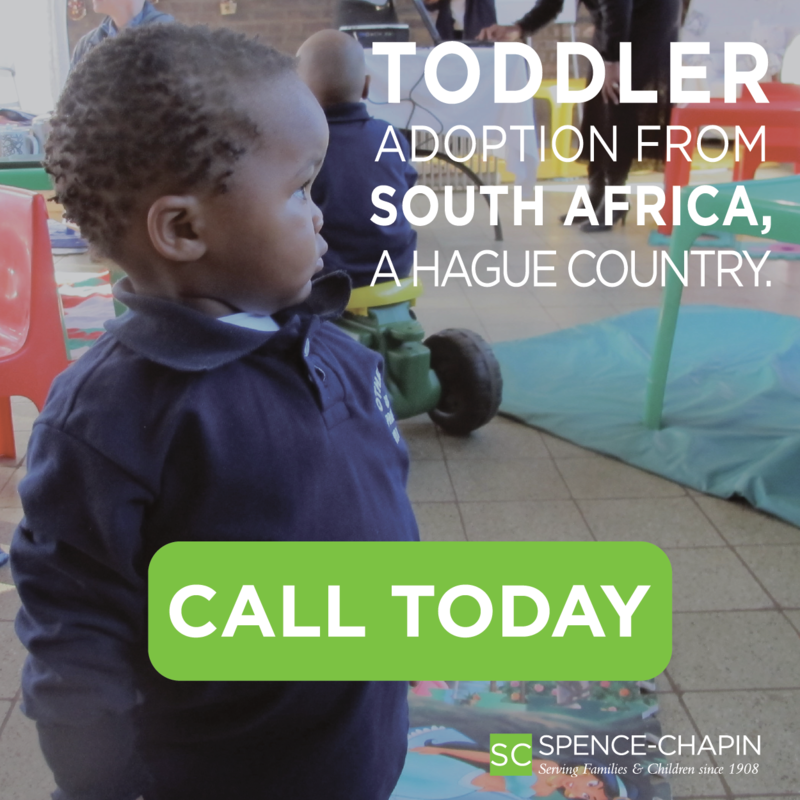 But as they grow, we are hopeful that the gatherings each summer will give our children a time for sharing the issues of adolescence and international adoption with their peers. China 46 offers these children a circle of people unmatched by any other group for its shared history and experience. This past June, we met in Yarmouth, Maine. The traditional piñata was broken, tee shirts designed annually for the occasion were distributed, potluck meals were shared, group photos were taken, and plans were begun for the 2004 reunion. We have decided that one day is not enough, so next June we will play together for a long weekend. And, a new idea has been hatched. We are talking about the possibility of making a second trip to China together, this time returning with our children to see the people and place that are so special to all of us.